Cynthia D’Arprix Sweeney’s debut is one of those novels that lots of people have been jumping up and down about, eagerly anticipating its publication: I’ve been one of them. Usually that kind of thing makes me put on my sceptical hat but with the promise of a dysfunctional family – a favourite literary trope which may say a lot about families – a New York backdrop and some well-aimed barbs at the better-off it sounded right up my alley and I’m delighted to say it delivers. The Plumbs, who’ve been counting on a windfall from the fund their father set up for them many years ago, are everything you could wish for in the dysfunctional stakes. Leonard Plumb’s family frittered away what fortune they had. A proud self-made man, he decided that his own children would suffer neither his fate nor indulge in his family’s profligacy, setting up a modest fund nicknamed the Nest, which will pay out on his youngest child’s fortieth birthday. It’s supposed to be a top-up, a little something to draw on in middle age, but the growth of the fund has far exceeded Leonard’s wildest dreams. It has become exactly what he didn’t want for his children: a source of expectation. What Jack, Bea and Melody have not counted on is the plundering of their treasured Nest by their mother to get their eldest brother Leo out of trouble. Drunk and coked-up, Leo has crashed head on with an SUV while in compromising circumstances with a waitress, his mind taken off the road somewhat. Three months after the event, the three aggrieved siblings have arranged to meet Leo, fresh out of rehab. All are financially compromised: Jack’s taken out a loan against the summer-house he shares with his partner to shore up his failing antiques shop; Bea’s writing career has stalled and her advance is all but spent; Melody’s concern for appearances has landed her with a massive mortgage and college fees for her sixteen-year-old twins are looming on the horizon. Leo is late, as ever, but when he arrives he assures them he will repay the money. Sweeney’s novel follows these four over the three months until Melody’s fortieth, the longed for payout day. The strength of The Nest lies in Sweeney’s characterisation. She introduces us to the Plumbs with a set-piece meeting, filling in their background as each prepares with a drink in a bar they know none of the others frequents. The story unfolds from the point of view of each member of the family, rounding them out nicely. Sweeney smartly avoids caricature, underpinning her novel with a gentle humour which makes it all the more engaging: these aren’t bad people, just a little too greedy for their own – and others’ – good. 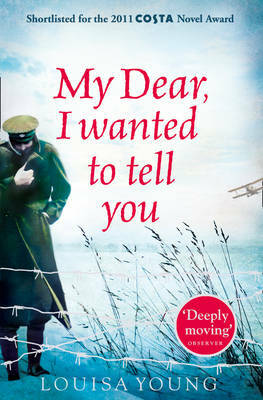 The novel is polished off with a thoroughly satisfying epilogue, neatly tying up any loose ends. It’s not challenging – no literary fireworks, nothing revolutionary – just a well-turned out, entertaining and absorbing piece of fiction that will keep you interested for all of its 400+ pages while quietly delivering a serious message about money and expectations. More please! This entry was posted in Reviews and tagged Borough Press, Contemporary American fiction, Cynthia D'Apprix Sweeney, Dysfunctional families in fiction, New York, The Nest on 3 June 2016 by Susan Osborne. Westerns aren’t exactly my style but I’ve been a fan of Glenn Taylor’s novels since his first, The Ballad of Trenchmouth Taggart. Set, like the previous two, in his home state of West Virginia, A Hanging at Cinder Bottom is a rip-roaring tale of small town life in the coal rush where powerful men make their own kind of law and corruption is the name of their game. The city of Baltimore comes up once or twice which is perhaps why The Wire popped into my head but a more appropriate comparison would be with Boardwalk Empire. Whichever, in the right hands, it would make a corker of a film. It begins in August 1910 with Abe Baach and Goldie Toothman about to face execution. Keystone is all agog: it’s the first public hanging in years and people have come from all over McDowell County to see the show. A Punch and Judy stall tells their story, handbills are distributed, last photographs of the handsome couple – both dressed in their finery – are taken. Rutherford Rutherford, Keystone’s lawman, stands up to make his speech which is, shall we say, a little windy. His customary morning breakfast of six hardboiled eggs seems to be giving him a little trouble but he still relishes the thought of what is to come: the execution of the two people he loathes most in his small world. Just after the condemned have had their say the noon train pulls into the station, a small army of men jumping from its empty coal hoppers. 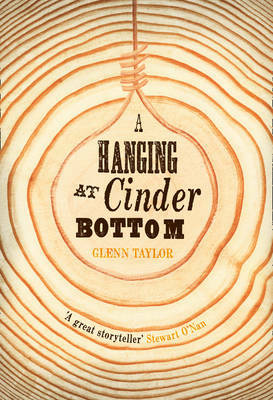 Stuffed with colourful characters, goodies, baddies, gambling, cheating, a fantastically elaborate con and a monkey, the rest of Taylor’s novel is the story of how Abe and Goldie arrived on that gallows platform. In his author’s note Taylor calls his novel ‘an unruly work of fiction’ which describes beautifully the comings, goings, adventures, misadventures and general shenanigans which make up his story but the way each part slots neatly together is far from unruly. The cliff-hanging first chapter sets us up nicely for what comes after but it’s not until the last few pages that you’ll appreciate just how cleverly the foundations have been laid for the denouement. Taylor engages our affections for Abe and Goldie from the start, spinning his yarn over an enjoyable few hundred pages in which a great deal of humour is mixed with tragedy and adventure until we learn their fate. The final, wonderfully theatrical chapter is a triumph which had me chuckling with satisfaction as the many stealthily laid clues resolve themselves. It’s a rollicking good read and I’m sure that Taylor had a great deal of fun writing it. There is a sober side, though – Taylor is careful to point out in his acknowledgements that the real McDowell County suffers from neglect, both public and corporate. In a nice touch, the novel is dedicated to its people, ‘past, present and future’. This entry was posted in Reviews and tagged A Hanging at Cinder Bottom, American fiction, Borough Press, Glenn Taylor, McDowell County, The Ballad of Trenchmouth Taggart, West Virginia, Western on 22 July 2015 by Susan Osborne. Regular readers of this blog will know that I tend to bang on a bit about jackets. It’s the old bookseller in me – I hate to see good novels done a disservice by their packaging. In this particular case, the jacket is far from off-putting but it does feel a little misleading and left to my own devices I probably wouldn’t have picked the novel up. Its starry sky and young girl looking out to sea speak of romance and adventure to me, suggesting that the book might be a little fluffy which it most certainly isn’t. 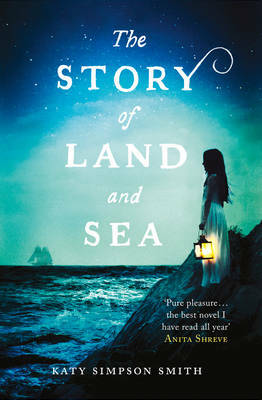 Set in late eighteenth-century North Carolina against the backdrop of the American War of Independence and its aftermath, Katy Simpson Smith’s debut deals with hard issues of morality, themes of loss, regret and the possibility of redemption, all wrapped up in the story of one family, beautifully told. It opens ten years after the end of the war with John telling stories to his nine-year-old daughter Tabitha, an evening ritual for them both. She wants to hear of his piratical seafaring days, he always tells stories of her mother. Helen and John eloped, determined to marry in the face of her father’s disapproval. John smuggled her aboard ship where they spent the first year of their marriage. 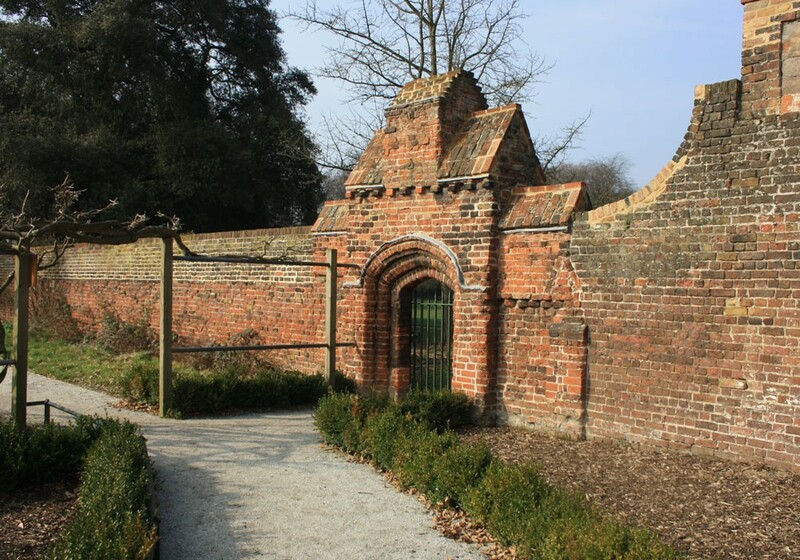 After Helen’s death in childbirth, John returned to the garrison town of Beaufort where Asa determinedly takes his reluctant grand-daughter to church every Sunday. The two men barely get along: one an atheist, the other a fervent believer; one a lowly shopkeeper with a dubious history; the other still clinging to his grandiose ambitions of legacy despite the loss of his only child. Woven through the story of these two disparate men is that of Moll, the slave who became Helen’s friend and confidante, who pays the price for her sassiness. Smith’s story loops back and forth, first telling Tabitha’s story, then her mother’s, before returning to John and Asa’s. Her writing is wonderfully assured – the occasional lyrical passage sings out from her otherwise elegantly restrained prose. 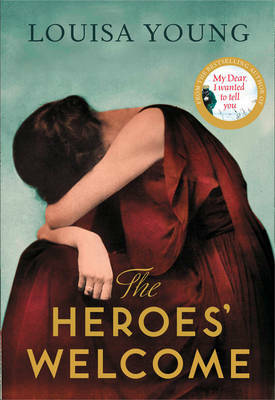 It’s a novel peopled with complex, rounded and believable characters: given to Helen on her tenth birthday, Moll is determined to defend what little territory she has, maturing into a strong and resolute woman; the pious young Helen teaches the slaves to read and write, assembling them on Sundays only later realising that for them ‘God is merely the lack of a whip’. Smith examines the profound moral complexities of slavery within the context of the time in which her story is set with dramatic effect – somehow the simple word ‘buy’ when applied to another human being triggers a shock and horror more visceral than any graphic physical description. In its portrayal of a tumultuous time seen through the eyes of two people, it reminded me at times of Charles Frazier’s Cold Mountain. Altogether, a thoroughly impressive debut: I’ll be interested to see what Smith does next. This entry was posted in Reviews and tagged Americab War of Independence, American fiction, Borough Press, Carolina, Eighteenth century, Katy Simpspn Smith, The Story of Land and Sea on 6 February 2015 by Susan Osborne.